Olly Murs has confessed he will never date a celebrity again because the idea of his relationship being in the spotlight gives him anxiety. The singer, 34, who has previously been linked to Melanie Sykes and Caroline Flack, said that he is 'too private' to have his relationship played out in the public eye. 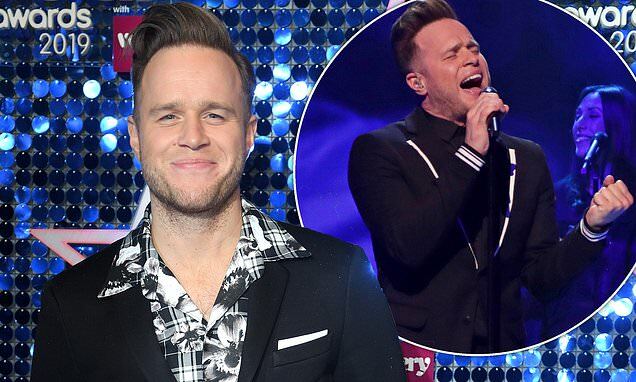 During an interview with The Sun, Olly said that he is in no rush to find a long-term relationship and is intent on waiting to marry a woman who makes him 'feel alive'. He sweetly admitted that he wants a relationship to be for the right reasons with the right person, where they are able to bring out the best qualities in each other. Reflecting on dating someone in the public eye, the Trouble hitmaker said that he admires anyone who can date someone famous but added that it would personally make him feel uncomfortable. Olly's last long-term girlfriend was Francesca Thomas, who he split from in 2015 after three years together which was conducted largely in private. The showman has previously revealed that he was left 'heartbroken' over their split which was a result of his busy schedule and strong work ethic. However, Olly said that rather than encouraging him to find love, his married friends have told him to stay single for as long as possible before settling down.